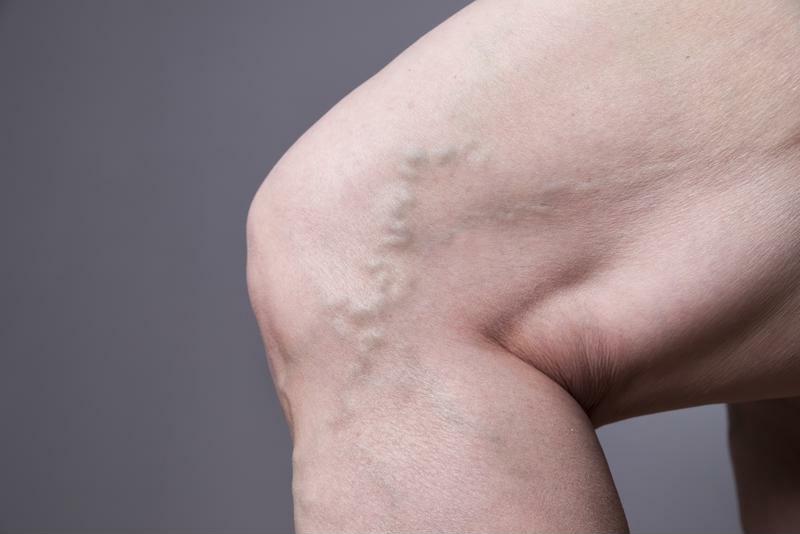 Spider veins, a less invasive version of varicose veins, are often one of the biggest annoyances of getting older for many people – men and women alike. Most commonly found on the legs and face, spider veins or some kind of vein-related problem impacts nearly 55 percent of women, the U.S. Department of Health and Human Services' Office on Women's Health explained. Though these blue and red-colored veins that branch and spread, appearing just below the skin's surface, impact 50 percent of people over the age of 50, young adults may have them as well. A minimally invasive laser procedure used to treat spider veins, sclerotherapy is thought to be one of the best options for veins in the legs, according to the American Society for Dermatologic Surgery. A solution is injected into the affected vein, forcing it to scar and collapse so that in turn, blood can flow through healthier veins. After a few weeks, that injected vein will fade almost completely. The procedure generally takes between 15 and 60 minutes and does not warrant the need for anesthesia. The most common cause of spider veins is genetics, Women's Health Magazine reported. Changes in hormones, weight gain and smoking are other risk factors related to the condition. Spider veins can happen to both both men and women. While circulation can have a slight impact on reducing the risk, there are not many preventative measures available. In most cases, there is not an extensive medical risk for living with spider veins. Most often, people just don't like how they look. For anyone who finds these veins – that begin to resemble the legs of spiders behind the knees – intrusive, sclerotherapy may be right for you. Removing these veins can help boost your confidence in skirts and shorts once again. Spider veins are often most bothersome because of their appearance. If you think this treatment is best for you, consult with your doctor or dermatologist. As the ASDS explained, the acting physician will ensure that there are no unknown blood vessel complications and then check the veins in question. During the procedure, an extremely fine needle will inject the sotradecol directly into the vein. The number of injections during each session, as well as the number of procedures needed, will depend on each individual patient. Some darkened or bruised areas of skin can be expected after the procedure. It is also normal to experience tiny sores and raised red patches of skin. While you can get back to your normal activity nearly right away, be sure to avoid the sun right afterward. The well-proven treatment has a success rate between 75 and 80 percent. Consider a consultation for your spider veins today.